The Exchangeables is an NGO which aims to support youngsters in becoming heroes for the future! Through international projects we encourage young people to learn more about themselves, develop personal skills, meet other cultures and be more aware of their citizenship. So if you are interested in becoming a hero, feel free to browse through our website. Questions? Do not hesitate to scream for help and we will save your day! 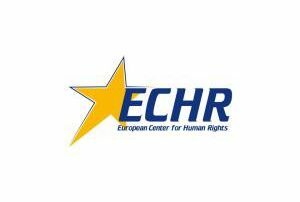 The European Center for Human Rights (ECHR) is an independent, non-profit legal and educational networking dedicated to protecting civil and human rights throughout 47 Countries – 820 million citizens of Member States of Council of Europe. It was founded in 2015 a small group of renowned human rights activists, in order to protect and enforce the rights guaranteed by the European Convection of Human Rights and Universal Declaration of Human Rights, as well as other declarations of human rights and national constitutions, by juridical means. ECHR engages in innovative strategic litigation, using European, international and national law to enforce human rights and to hold state and non-state actors accountable for egregious abuses. ECHR engages in innovative of delegation of Council of Europe our European Commission in different country in world. 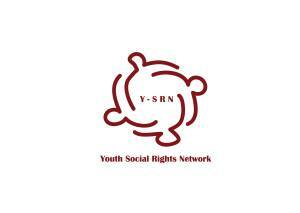 Youth Social Rights Network is a network of people who are in a way involved in all the enter activities. It’s an open and at this moment informal, with the tendency to become a formal network, of individuals, public and private entities working on improvement of access to social rights of young people (particularly those from disadvantaged neighborhoods or those facing disadvantage). Members can be young people, youth workers, different kinds of practitioners working with young people and social rights, local – national authorities, public institutions etc. So everybody who is interested in working in improvement of access to social rights of young people is welcomed in Youth Social Rights Network. The Network exists separately from the CoE (Council of Europe), the youth department, but in our activities we have a lot of support from their side, because of our focuses. Particularly, the following years will be focused on how to make the policy recommendations implemented in practice. Wij van Kids4Dreams vinden het belangrijk dat er meer aandacht besteed wordt aan het welzijn van kinderen en aan de ontwikkeling van sociale vaardigheden. Kids4Dreams biedt informele lesmethodes en activiteiten aan voor onderwijs en opvang, waarbij de focus ligt op het sociale aspect, met als doel om het onderwijs meer in balans te brengen. Door meer aandacht te besteden aan het sociaal-affectieve gebied groeien de kinderen meer naar elkaar toe. Dit resulteert in meer waardering onderling, waardoor de kinderen beter in hun vel komen te zitten en een kind dat gelukkig is heeft ook betere leerprestaties. Dit biedt kinderen een basis waarmee zij kunnen opgroeien tot een volwaardige burger in onze samenleving. 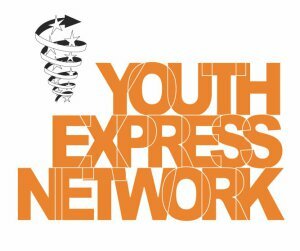 Y-E-N/R-E-J is a European network of grass-root youth organisations. Our vision is to reach an inclusive society, where young people, their needs and participation are recognised, valued and appreciated. Our 27 member organisations in 21 different countries all work at local, regional or European level on social inclusion of young people. Our Board is pan European (7 volunteers) and our Coordination Office is based in STRASBOURG, France (3 paid-staff). Since 1992, we have organised more than 90 international training courses, seminars, cross-border and mobility projects bringing together social/youth workers and young people with fewer opportunities. We also have conducted researches on youth and social related issues and have been trying to be the voice of young people with fewer opportunities in local, regional and international institutions, either by representing them or by supporting them to create and be part of youth councils. We are member of the European Youth Forum (YFJ) and the Conference of International Non-Governmental Organisations of the Council of Europe (COE). Ook partner worden? Stuur ons een bericht!